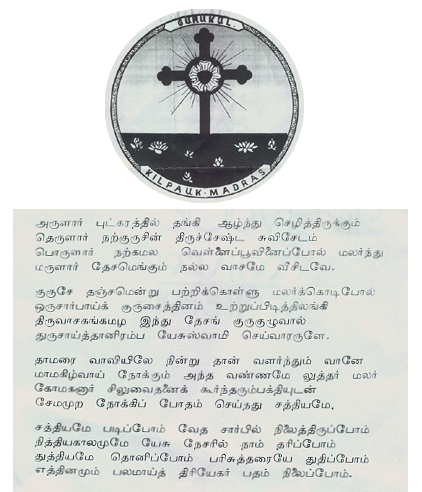 In 1926, my great grandfather wrote the college song in literary Tamil. In order to make its meaning plain, and disregarding the original meter, here is my translation of the same. Deeply rooted is their heritage—the gospel of the cross. May the gospel’s fragrance sweetly pervade through this land. To the Tree, hold on, everyday, together, steadfastly. May the Lord Jesus’ blessings in your labour be rich and full. With much joy and ardour, and did Luther in that likeness. Taught the truth—the word of God—words of life and healing. And at the feet of the Triune God, day by day, be rooted stronger. Most of what I know about this good man Rev N. Samuel, is from the writings of his son, my grandfather Rev S. Gnanamanickam, whom we called Dhadi thatha because of his flowing beard. Let me read to you from Chapter IV of the book Dhadi thatha co-authored with Rev. J. Sandegren called ‘N. Samuel of Tranquebar‘.